Disasters not only present huge business risks, but they can also damage company reputation and trust. 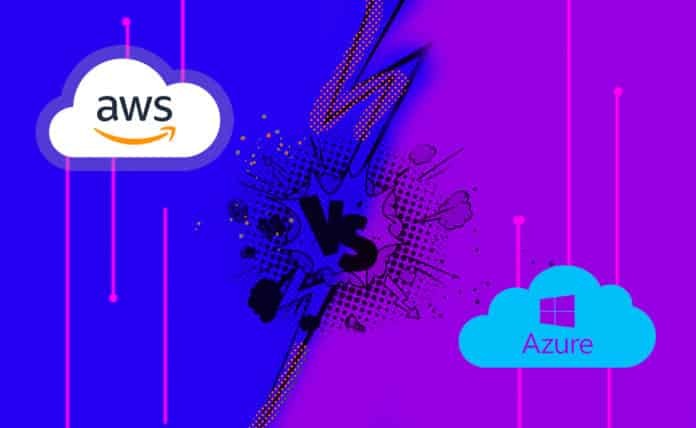 Let's compare Amazon Web Services's (AWS) and Microsoft Azure's disaster recovery solutions. Disaster recovery, in the context of information technology (IT), refers to the implementation of specific tools, policies and procedures aimed at restoring vital technology infrastructure in the aftermath of a natural or human-caused outage. Disaster recovery is an important subset of business continuity, which deals with the broader scope of ensuring adequate preparation to overcome serious incidents and resume normal business operations as quickly as is reasonable. The stats tell the most revealing story about the importance of disaster recovery—according to Statista, 98 percent of enterprises worldwide reported that just one hour of downtime costs in excess of $100,000. Disasters not only present huge business risks, they can also damage company reputation and trust, particularly when inadequate disaster recovery procedures are in place. Read on to find out about two cloud-based disaster recovery options, namely Amazon Web Services (AWS) and Microsoft Azure. Traditionally, upfront investment costs have been a significant barrier to the implementation of effective disaster recovery plans. It’s prohibitively expensive to mirror infrastructure to a secondary location, which is typically off-premise. Therefore, IT executives often have a difficult time persuading key stakeholders to allocate a proportion of the IT budget towards preparing for events that, objectively, have a small probability of occurring. Thankfully, the emergence of cloud computing into mainstream IT has seen the concept of disaster recovery in the cloud come to fruition. Also known as disaster recovery-as-a-service (DRaaS), such services involve the use of virtualized public cloud environments to replicate enterprise workloads and to back up data. Because these services use a rental pricing model instead of requiring upfront payments, the initial financial commitments for disaster recovery solutions have reduced substantially. Let’s now go through the respective disaster recovery options for Azure and AWS. Azure Site Recovery is the main solution that meets the criterion of a dedicated cloud-based disaster recovery service. This service uses the Microsoft Azure cloud as a secondary site for conducting business during outages. Azure Site Recovery promises best-in-class recovery point objective (RPO) and recovery time objective (RTO), both of which are vital metrics in the context of any disaster recovery plan. The RTO means the maximum allowable time you can go without a business process and avoid undesirable consequences as a result of a break in business continuity. The RPO quantifies your maximum allowable data loss in terms of time, which dictates how often you should back up your data. Azure Site Recovery provides coverage for workloads in on-premise servers, virtual machines and applications running in the Azure cloud. Azure storage is an object storage solution that allows businesses to store data in the cloud for easy retrieval in the event of a disaster. While Site Recovery deals with business-critical workloads, Azure Storage is a solid option for off-site data backups. Third-party services exist that can integrate with Azure Storage and lower your storage costs for disaster recovery purposes. For example, NetApp’s Cloud ONTAP Azure Storage service reduces disaster recovery costs by tiering data in terms of its priorities and choosing the lowest cost storage pools. Availability Zones: Enterprises typically pay for AWS services within a specific geographic region, closest to their main office. Within those regions are availability zones that enable you to place resources, such as instances and data in multiple locations instead of relying on a single data center. EC2: EC2 provides you with resizable compute capacity in the cloud. The beauty of this service is that you can spin up an EC2 cloud instance in minutes, which is critical in the context of disaster recovery. You can make EC2 even more practical by pre-configuring machines images for use on EC2 instances with an operating system of your choice plus necessary components of your application stacks. S3: This service provides a platform for storing your critical business data securely in the cloud. Data objects are stored in multiple facilitates within a region, and the service promises 99.999999999 percent durability. Route 53: Networking issues present big problems in terms of disaster recovery, particularly for online businesses that heavily rely on providing services, such as a website or web app to end users. Route 53’s DNS failover feature lets you monitor your website and automatically route visitors to a backup site if it goes down due to a disaster. EBS: AWS EBS lets you create point-in-time snapshots of data volumes. Azure’s disaster recovery options are excellent, and Azure Site Recovery delivers impressive RPO and RTO that can get your critical workloads back running in no-time. Azure is probably better for ease of use. Whichever service you choose, the cloud provides greater accessibility and cost-efficiency than ever when it comes to implementing an effective disaster recovery plan. Written by Gilad David Maayan, a technology writer who has worked with over 150 technology companies including SAP, Oracle, Zend, CheckPoint and Ixia.